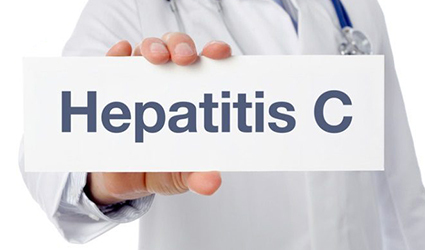 A report was issued by the World Health Organization (WHO) recently that the number of people receiving hepatitis C cures was increased from 1 million in 2015 to 1.5 million in 2016. Previously, only a small number of countries took part in hepatitis C treatments. But in 2016, a tremendous response was seen where countries like Australia, Brazil, China, France, Georgia, Mongolia, Morocco, Rwanda and Spain participated. Similarly, around half of the population in Egypt and Pakistan started direct-acting antiviral (DAA) treatments to cure hepatitis C.
A report was released via a joint letter by Dr. Gottfried Hirnschall, WHO Director of HIV and Hepatitis, and Dr Suzanne Hill, WHO Director of Essential Medicines and Health Products, where they stated that "A great number of countries need to seize the opportunity to procure the more affordable generic DAAs, which have become available through voluntary licensing or local production," under the title "Progress report on access to hepatitis C treatment: focus on overcoming barriers in low- and middle-income countries". The joint message further stated, "We need to join forces to unblock the price barriers in upper-middle- and high-income countries, which are home to 38% of all people with chronic hepatitis C infection. We also need to rapidly scale up access to hepatitis testing, as most people with hepatitis C remain unaware of their infection, let alone the need and chance to be cured." As per the WHO report, the number of DAA treated patients has reached 3 million. However, it is estimated that around 71 million people throughout the world are affected with hepatitis C infection, and are in need of treatment. With collaborative efforts and advances in the field, it is expected that this infection will be eliminated once for all by 2030.